While direct lessons from parents can help shape a child’s perception of money and finances, experts agree that the most effective education is through demonstration. Most girls are first taught how to save by banking their coins in a jar or piggy bank at the early age of five. While direct lessons from parents can help shape a child’s perception of money and finances, experts agree that the most effective education is through demonstration (Fast Company). According to a survey of 1,000 parents, respondents were more likely to teach their daughters fiscal restraint, while their sons were more likely to be taught about building wealth. At a young age, differentiating “wants” and needs” can prove to be a difficult task. If not taught the basic fundamentals of finance, girls will fall behind in financial literacy. Writer for EDSurge, Dennis Duquette shares, “Three out of four young adults cannot answer basic financial questions.” Financial literacy expands beyond the ability to save for a large purchase but explores how to save for the unexpected, learn about investments, and secondary education. In a male-dominated world, and for some, in male-dominated fields, girls strongly benefit from single-gender programs. 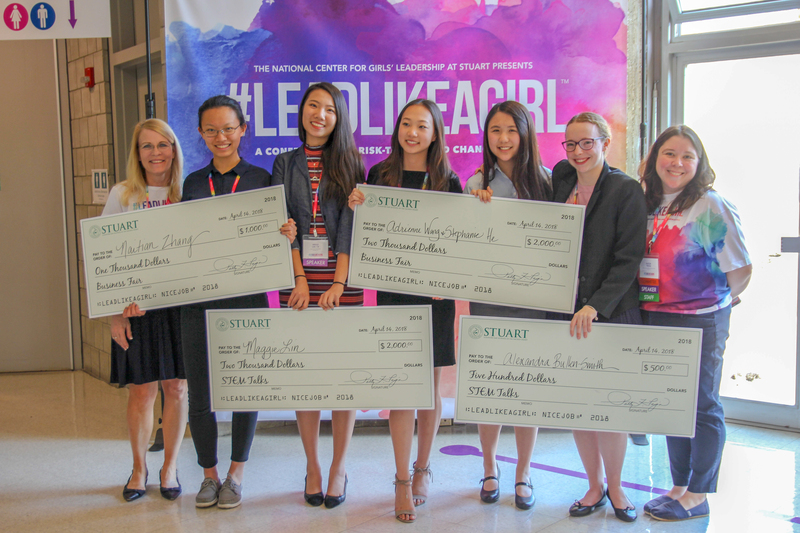 In efforts to close the impending wage gap of inequality, Stuart empowers young women with the confidence to manage a Fortune 500 balance sheet, or their own finances, by equipping them with the knowledge and skills needed to make positive financial choices for themselves and those around them. In fact, the National Coalition of Girls’ School states, “At girls’ schools, there are no glass ceilings and no assumptions about what girls like or prefer because no one is saying “that subject is for boys” or “that subject is too hard.” Financial capital and exploration can make a world of difference in a young person’s life, giving her the skill sets to confidently pursue her dreams without looming limitations. At Stuart, our educators take pride in assisting young women with financial literacy by providing on-going financial programs through SIFE. If “money talks” then we need to start the conversation. #LEADLIKEAGIRL: A Conference for Risk-Takers and Changemakers stands as an opportunity to unite girls in STEM, or as attendees like to think of it– an enriched educational experience for STEM girls to nerd out! #LEADLIKEAGIRL delivers unmatched female representation with inspiring speakers, workshops, and cash prize competitions. The mission works to not only mobilize but advance the access young women have to science, technology, engineering, and math-based exploration at an early age. For more information about upcoming #LEADLIKEAGIRL programs, please visit, The National Center for Girls’ Leadership at Stuart. COURTNEY PORTLOCK weaves the framework of diversity, equity, and inclusion (DEI) through all that she does. She is in her second year as the head of Upper School at Stuart Country Day School, where she also serves as the director of The National Center for Girls Leadership at Stuart. She serves on the planning committee for the #LEADLIKEAGIRL Conference, an annual gathering dedicated to showcasing and inspiring girls’ confidence and creativity in STEM, entrepreneurism, and leadership. The Future Of Financial Literacy.